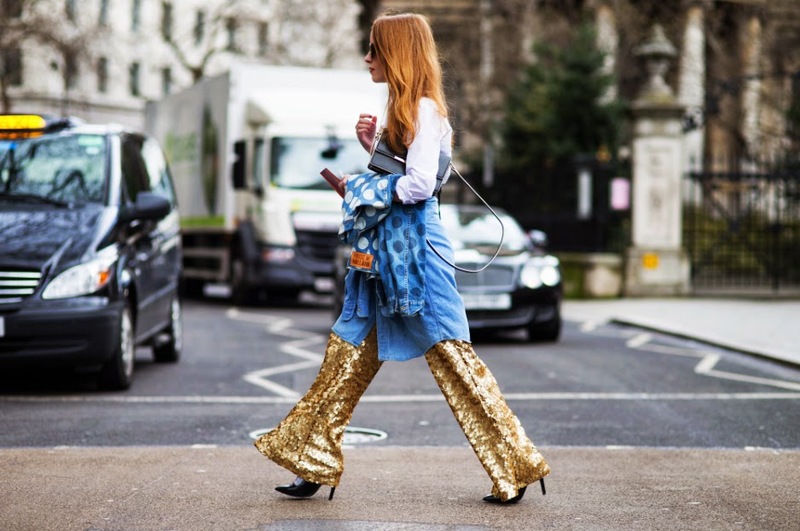 Another lucky day at London fashion week F/W 15 - another lucky flares. 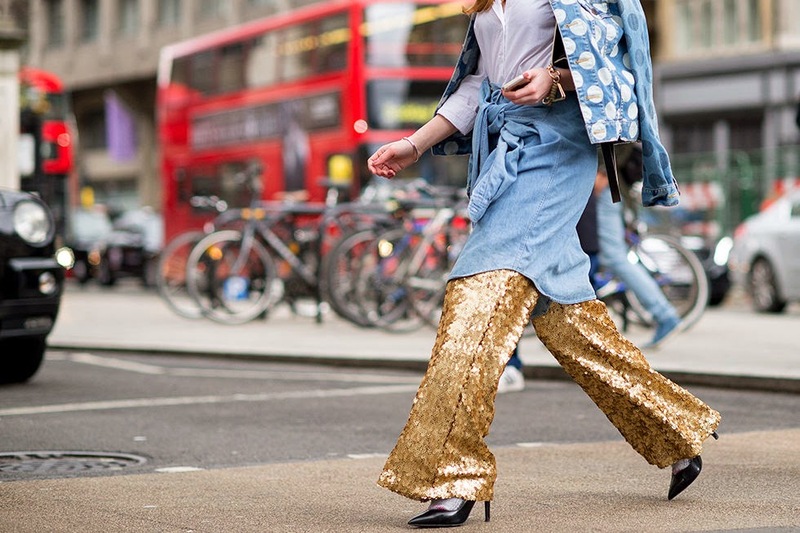 Time for some sequins, babe! 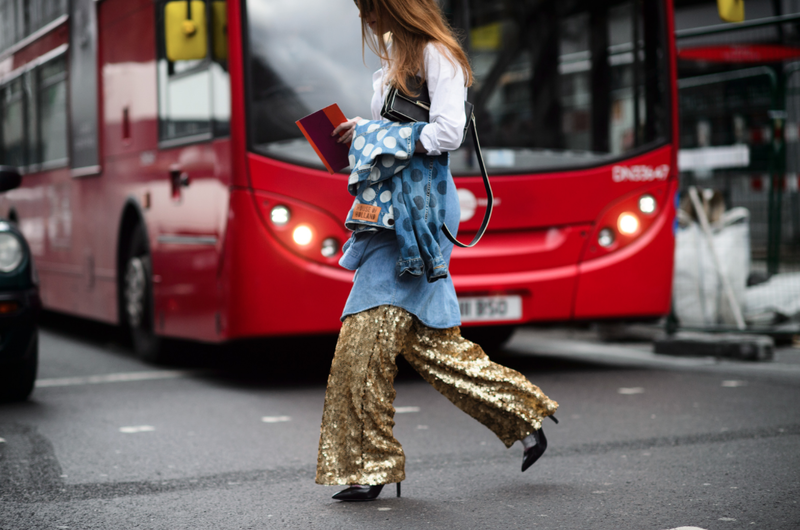 Since my childhood I used to have hundreds of sequin dresses, skirts, shirts, blouses, clutches but never pants. It was quite an experience I should say but ASOS made it good - very comfy and no itching at all! 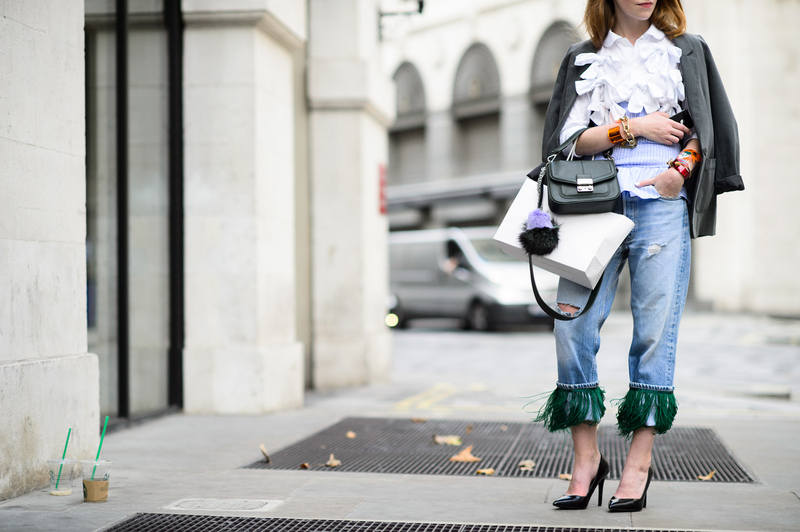 You know I'm a massive fan of a street style photography (especially during fashion week season) and seeing my second LFW look going around social media and online fashion magazines so fast again made me feel extremely happy and proud! Thank you all for the beautiful pictures!